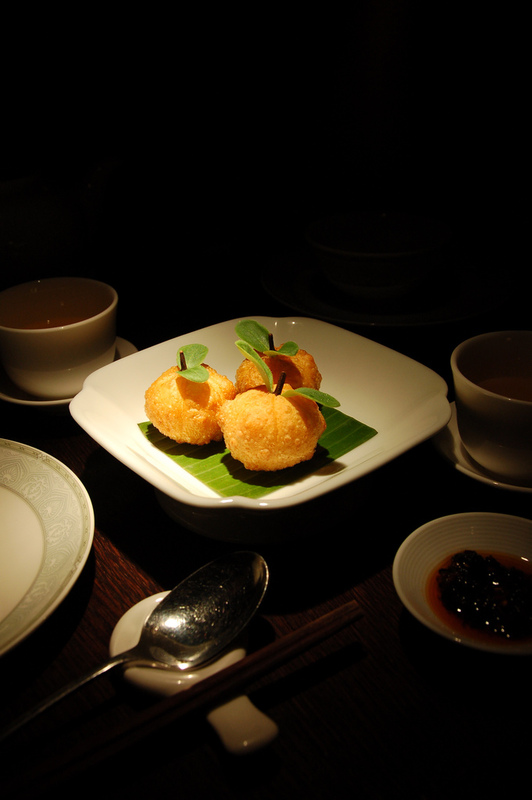 In a tiny little side street close to Tottenham Court Road tube station, where you would never expect it, lies one of London’s best Chinese restaurants called “Hakkasan”. Only a security man and a bunch of expensive cars reveal that there is something marvellous hidden downstairs. If you walk down the stairs into the semi-darkness, you are greeted by flavoursome incense and three ladies in red. One checking your reservation, another taking your coat, and a third guiding you towards your table, so that you feel incredibly important from the start. From atmosphere to service, it is clear that a professional was at work here. More precisely Alan Yau, founder of legendary chains like Wagamama and Busaba Eathai, and the success of Hakkasan is extraordinary. There are no empty seats and a reservation beforehand granted you two hours and no more, because the next guests will already be waiting to take your seat. A second branch in Mayfair just opened a couple of months ago, with further branches in Miami, Abu Dhabi and Mumbai. 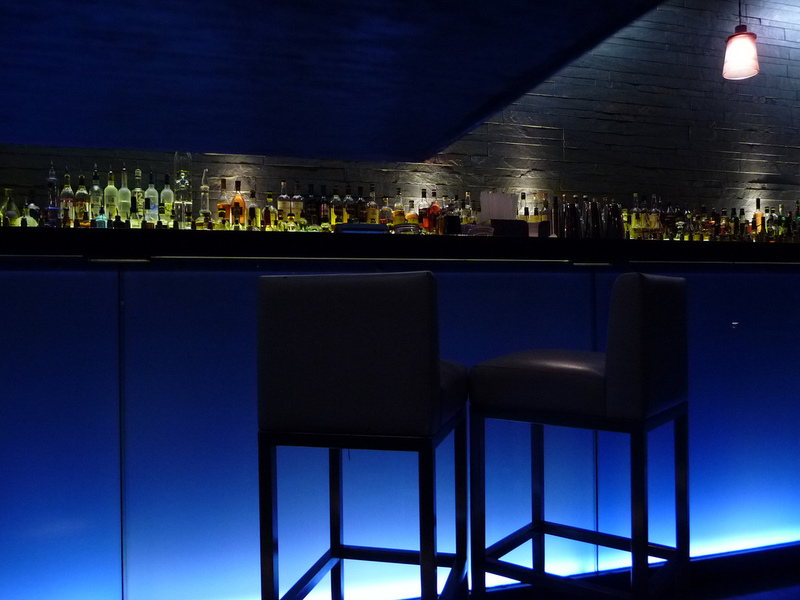 Hakkasan represents a truly cosmopolitan dining experience. Upon entering you feel warmly covered by a constant buzz of the many conversations and a party-like atmosphere. The whole restaurant is subdivided by dark wooden latticing. Behind translucent glass lit in different colours, you can see the shadows of people handling pans and pots in the kitchen. Behind the main room of the restaurant there is a long bar, where you can have exotic cocktails before or after dinner. The crowd is relatively young and it is the kind of place you would expect to meet a celebrity every other second. At the same time people are so occupied with their food and conversations that nobody is really paying attention to who’s who. We had a Dim Sum platter and lamb salad for starters, followed by stir-fry black pepper rib-eye beef with merlot and juicy lamb chops. The food is simply an explosion of flavours with the lamb salad being spicy and at the same time sweet and sour and the beef featuring a French-Chinese fusion where oriental spices meet with merlot. Even the egg fried rice seems to taste like heaven although you would think that rice is simply rice. Finally a hazelnut bomb with warm chocolate sauce gets us to transcendental spheres and we have succumbed to the seduction of Hakkasan ready to pay a small fortune. No wonder this experience is worth a Michelin Star. A must for true food lovers! Anastasia Albert is currently studying Politics and Communication at the London School of Economics. At the LSE, Anastasia writes for the student newspaper “The Beaver” and is a frequent contributor to POLIS – a journalism think tank at the LSE Media and Communications Department. What is the address, I really want to try it out now!